Buying a new color label printer for your business also requires stocking up on blank labels. What if you could get a supply of high quality, durable labels engineered specifically for your exact label printer for FREE? Here's how you can get up to $500 worth of free labels. DuraFast Label Company is running a free label promo for customers who buy their digital color label printer or press directly from the DuraFastLabel.com website. 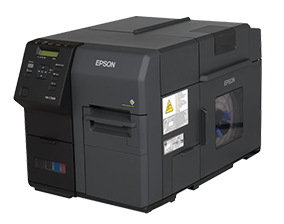 Depending on the color label printer you purchase from our website, you could receive up to $500 worth of labels for free. The value cannot be beat, but you must enter the discount code at the time of the new label printer purchase. Start by adding the color label printer you want to the shopping cart. Next, add the labels you want to the shopping cart. Find the Discount Code for your label printer in the list below and enter it during checkout. The discount will be included with your printer purchase. Use the table below to find the Free Label Promo discount code for the color label printer you are ordering. Hurry, this is a limited time offer. Order your color label printer from DuraFastLabel.com and get free labels today. P.S. – After you purchase your color label printer using this offer, we have another promotion where you can get even more free labels by submitting a review!